The most comfortable toilet is a matter of personal opinion. However, most would agree that some toilets are less desirable than others. If given a choice, many would prefer to use their own toilet as compared to a public restroom's toilet. Those looking to increase the comfort level of their own personal toilet have many options, including purchasing toilet seat covers or enlarging the size of the seat itself. At the end of the day, if the user is comfortable, that is all that matters. Some cultures offer a bidet, which cleans you after toilet use. While all functioning toilets accomplish the same task, some people may prefer a larger toilet seat to increase the comfort level of the experience. Luckily, there are numerous websites online that sell larger toilet seats, including Plumbingsupplycom. These toilet seats feature solid plastic construction and have the ability to fit most elongated or regular-sized toilets. They also feature chrome-plated brass hinges that increase the lifespan of the seat itself while decreasing the odds of it wobbling. All toilet seats sold by Plumbing Supply are brand-new. However, once purchased, the toilet seat cannot be returned, so make sure you have ordered the proper size. Under the guidelines of the Uniform Plumbing Code Section 40922, all public toilet seats must have open fronts. 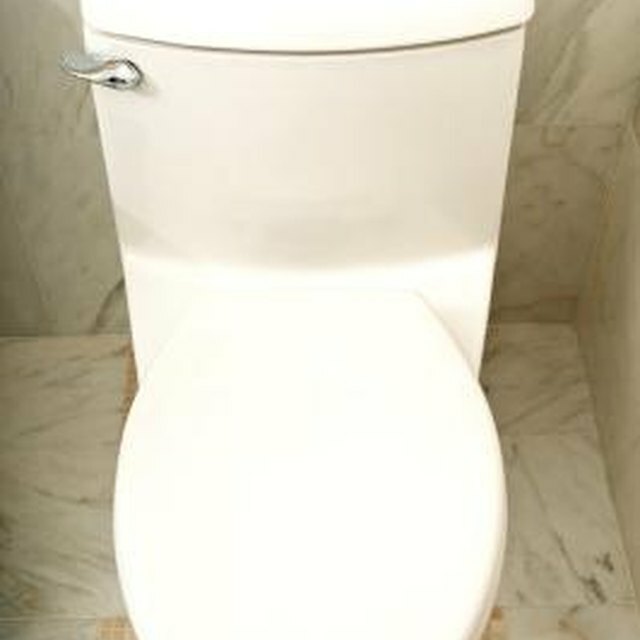 An open-front toilet seat is one that does not complete a full circle, but rather has a break toward the front of the seat itself. Most domestic toilets do not have this break. According to the website Toiletmuseumcom, this break allows for more sanitary conditions as well as more comfort. However, whether these seats are actually more comfortable or sanitary is up to the user. Anyone using a public toilet should always use a disposable seat cover to avoid unwanted germs. Japan offers toilets that look and act quite differently from those found in America. One such style is referred to as the squat toilet, and requires the user to physically squat over the bowl. The shape of the squat toilet resembles that of a urinal that has been tipped over and installed into the ground. For those who don't wish to squat, Japan offers far more technologically advanced toilets that allow the user to sit. One such toilet, manufactured by the Toto Company, has the ability to spray water up from the bowl at a temperature of your liking. These more advanced Japanese toilets also feature bowls that light up at night, with built-in deodorizers and proximity sensors that raise and lower the lid when someone is within range. All of these functions can be controlled by a nearby control pad located by the toilet. Those looking to increase their comfort level when sitting on a toilet seat may want to invest in a fuzzy toilet seat cover. Most fuzzy toilet seat covers can be washed when desired, keeping them as fresh as possible. However, the main benefit of a fuzzy toilet seat cover is that it eliminates the sensation of sitting on a cold toilet seat. Numerous online companies sell toilet seat covers in a variety of designs and sizes. What Size of Stool Height for a 45-Inch Bar? What Is a Toto Toilet? What is a Bariatric Walk-In Bathtub?